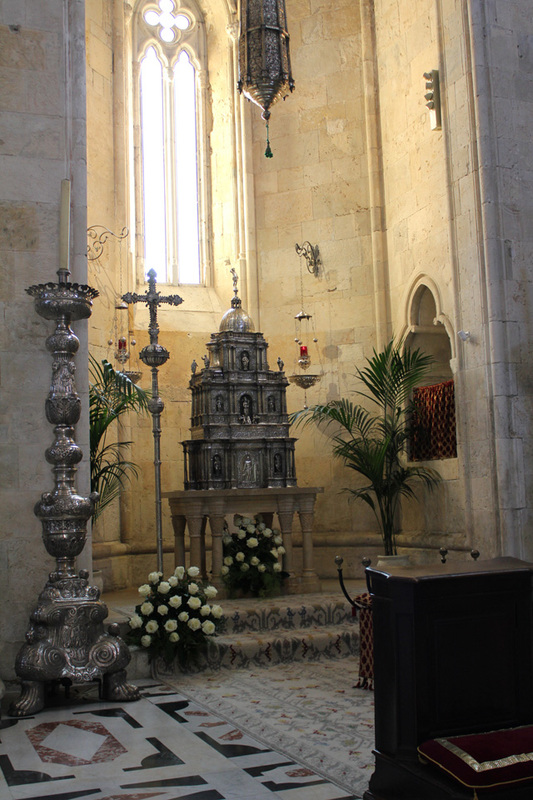 The Shrine of the Martyrs, excavated out of the rock is under-neath the presbytery and the choir. Created by desire of the archbishop De Esquivel and inaugurated in 1618 it is composed of a lobby and three chapels. 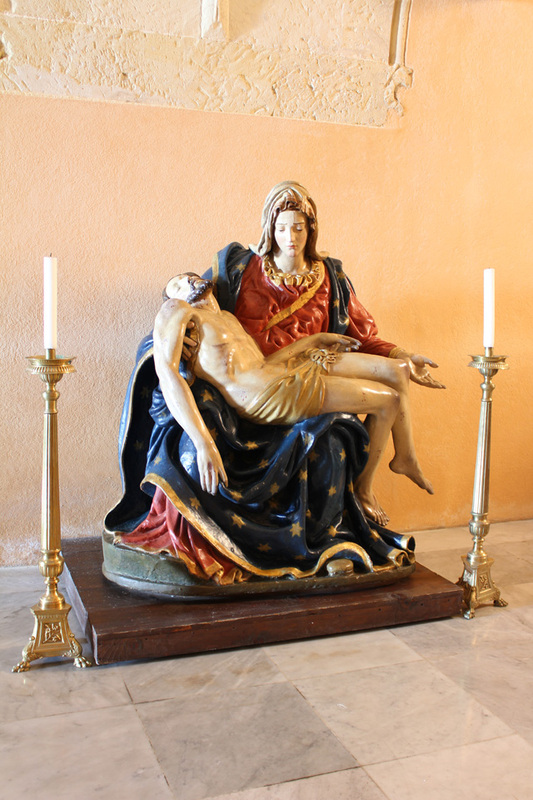 It owes its name to 179 niches that contain the relics of martyrs from Cagliari. It has an access stairway and three intercommunicating chapels panelled in marble. The vaults are decorated with rosettes with diamond points in relief. 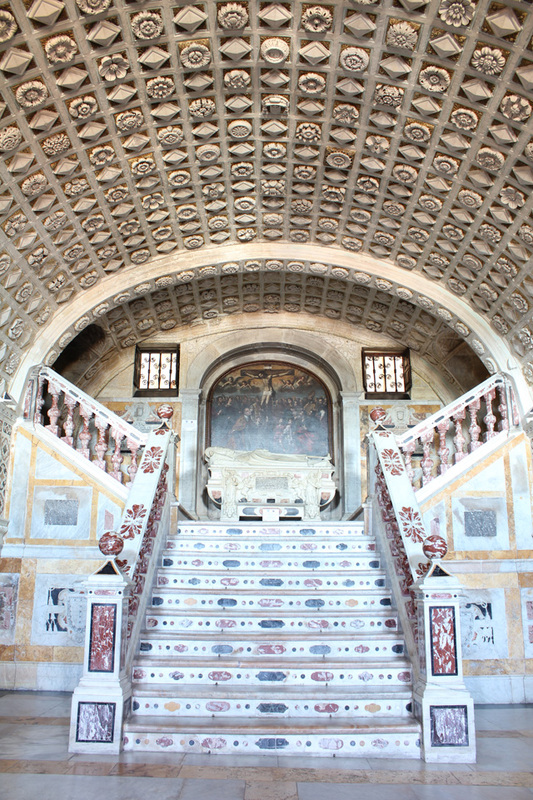 The two marble stairs come together in a lobby, with at its centre the marble sarcophagus of the archbishop Francisco De Esquivel and a 17th century painting from the Spanish School of the Crucifixion the archbishop himself and the martyrs of Cagliari. It contains 66 niches. Above the altar a statue of Our Lady and the Child ]esus, at the sides St loseph and St Anna. Dedicated to St Lucifer, bishop of Cagliari, it contains 80 niches. The bones of the saint are beneath the mensa of the altar; the statue is above. The chapel also contains a Roman sarcophagus with the bones of Saint Antioch and the mausoleum of Maria Giuseppina of Savoy, wife of Louis XVIII king of France. There are 33 niches in this chapel which is smaller than the other two. Above the altar, a 2nd century Roman sarcophagus contains the relics of the saint. 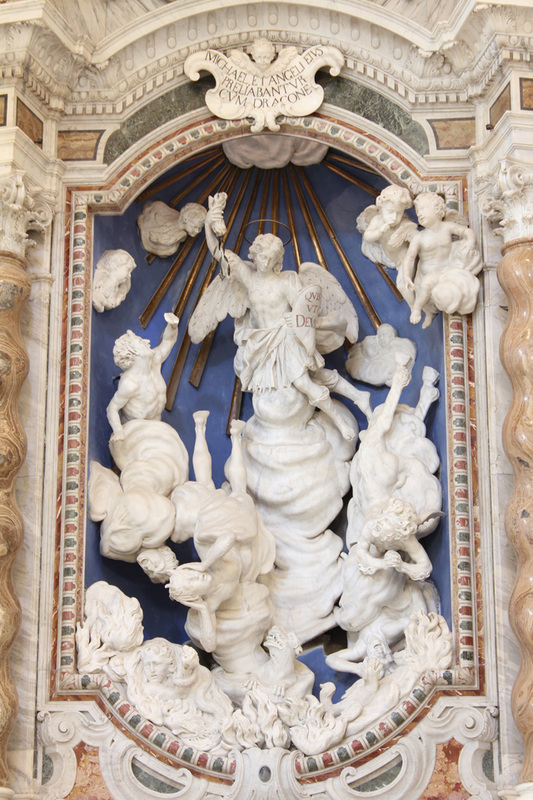 There are two other Roman sarcophaguses above the statue of St Saturnine: one with the relics of 10 saints, the other -behind the monument to Carlo Emanuele of Savoy- contains the relics of 9 saints. At the back is the mausoleum of Carlo Emanuele who died of smallpox at just two years of age.